Although the People’s Committee HCM firmly resolved to build commercial apartments with an area of ​​less than 45sqm, however recently, HoREA continues to send a letter to the Ministry of Construction and the City People’s Committee would like to build this apartment. The Association also strongly recommends the City People’s Committee. 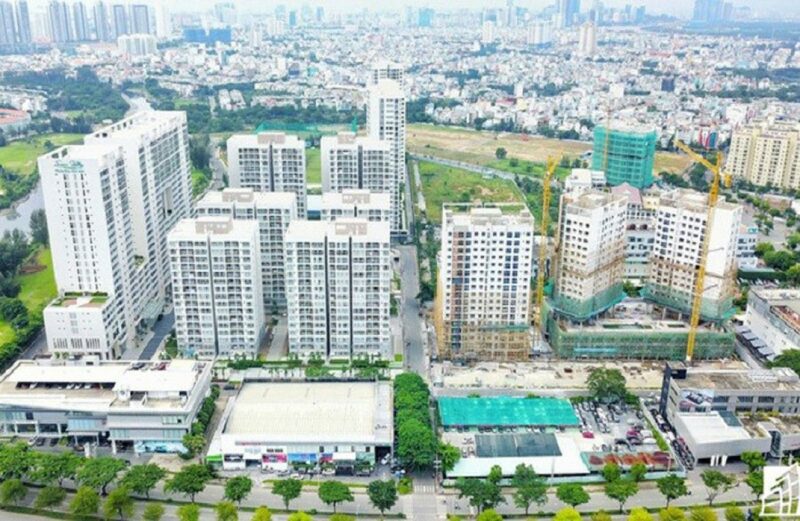 Ho Chi Minh City allowed the construction of small apartments in commercial apartments with the area of ​​25 – 45sqm, but must be consistent with the detailed construction planning, standards, construction standards, housing architecture and content. The policy on investment in housing construction projects of competent state agencies. “The city may impose a rate of about 25% of the total number of apartments in the suburbs and suburban districts, which is one of the solutions needed to address the current housing problem for the elite. City People, “the document stated. According to HoREA, Ho Chi Minh City has nearly 13 million people, of which about 3 million immigrants, accounting for about 23% of the population. Each year the city receives an additional 200,000 immigrants, equivalent to the population of a ward. In addition, more than 402,000 workers and workers are working in the city’s export processing zones and industrial parks, as many as 284,000 need affordable housing. Thus, the total demand for cheap housing in HCMC is very big now. “It is not an effective solution to solve the problem of immigration in Ho Chi Minh City.” The key issue is to improve the capacity and efficiency of state management. On planning, managing urban order, determining the planning criteria to control population, density of construction, height of the works … “, HoREA emphasized. On the other hand, by 2021, the metro line 1 will be operational. The city will also complete the rest of Ring Road 2, Ring Road 3, connecting Vo Van Kiet Street with Sai Gon – Trung Luong Expressway … All these works will contribute to solve the basic problem. traffic jams, floods, and convenient transportation, as well as redistribution of population in the urban area. However, Ho Chi Minh City does not agree to the construction of commercial apartments with an area of ​​less than 45sqm on the grounds that this type of super-home will overload the infrastructure of the city, forming slums on high … . The city suggested Ministry of Construction to consider and promulgate regulations on keeping the minimum area of ​​apartments as at present. You are reading the article HoREA continues to recommend for apartments under 45sqm in the Real Estate category at https://realestatevietnam.com.vn/. Any information sharing, feedback please contact through Hotline 0909890897 (24/7) or email to info@realestatevietnam.com.vn.